​In 1962, the State of New York seized 40 blocks in the core of downtown Albany for construction of a massive, marble state capitol complex, the Empire State Plaza. Over the course of the next two-and-a-half years, the State tore down 1,150 buildings, displacing roughly 400 small businesses, 3,300 households, and 7,000 people—over 5% of the city’s population. Bob and Ethel Mather at home in their Hudson Ave. apartment. Source: NYS Archives. What drew us to this story was the discovery of a collection of extraordinary photographs in the New York State Archives. We were curious to learn more about the people in these photographs. How did the experience affect them, their communities, the city as a whole? Thus, the 98 Acres in Albany project was born. We began by blogging and tweeting about what we learned in the archives. Soon, we started hearing from former residents and business owners, and the project took on new life. We met Angelo Kontis through our outreach to members of St. Sophia Greek Orthodox Church. He introduced us to Barry Levine. The sons of small business owners, they both grew up on a now-demolished stretch of Hudson Ave. Tonia Hannemann tracked us down to share the story of a lifelong friendship with roots in what was once Albany’s rooming house district. 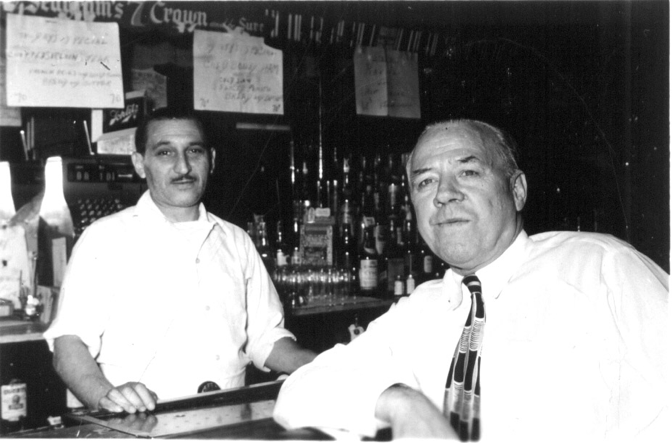 Moe Levine, behind the bar at Dinty’s Tavern, ca 1950s. Ethel Mather was a customer. Source: Barry Levine. ​We will never be able to identify all of the people who once lived in the redevelopment area, particularly those who made their homes in the city’s rooming houses and residential hotels. Because they were deemed transient, these former residents seldom show up in city directories or the local newspaper. As a group, however, they were a concern to social welfare agencies—if only because there was no place for them once the city’s rooming houses were razed. 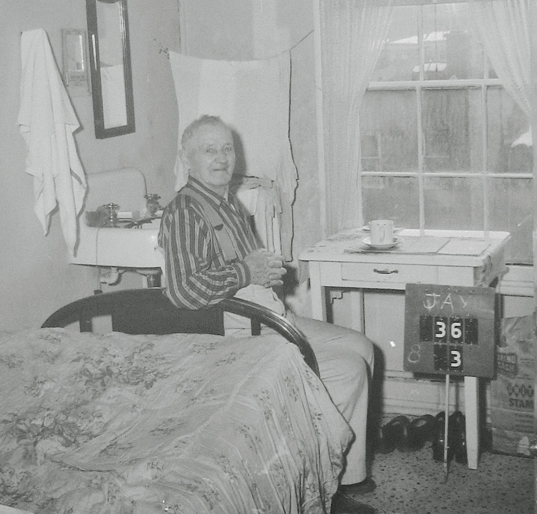 ​Unidentified rooming house resident. Source: NYS Archives. ​Albany’s redevelopment story is not all suffering. 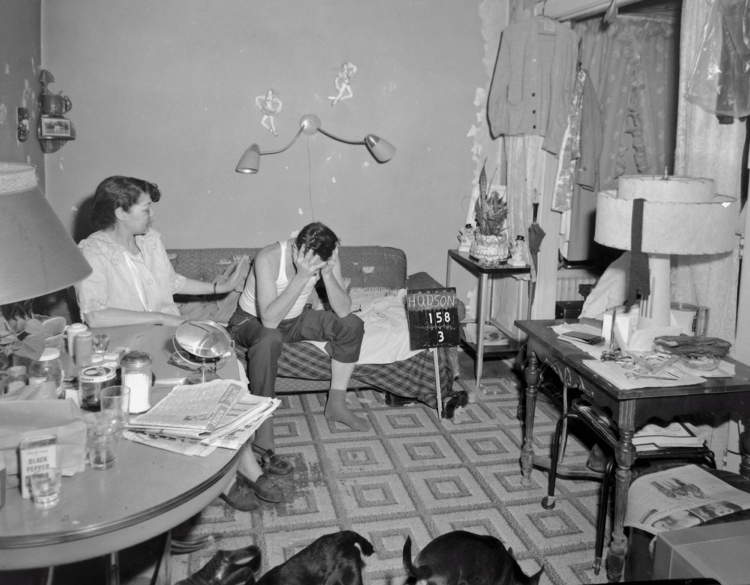 In fact, many families enjoyed a period of unprecedented prosperity during the decade-long construction boom. But these benefits were unevenly distributed. Our goal is to produce a complete and complex accounting of urban renewal in our small city—one that will resonate with the many other places that were similarly transformed. For more stories, visit the 98 Acres in Albany website here.